Most episodes of neck pain resolve in a couple of weeks with rest and over-the-counter (OTC) medicines such as Motrin or Tylenol. If the pain keeps recurring, then you should seek prompt medical attention. Herniated or ruptured discs can occur when the rubbery discs between the spinal bones (vertebrae) become compressed and bulge outward (herniation) or rupture, causing neck pain, and pain radiating down the arms. Epidural Steroid Injection (ESI) is a common treatment option. If the disc continues to cause problems the part of the disc that is bulging outwards needs to by cut out , that procedure is called Discectomy. Facet joints are the joints that connect adjacent spinal bones (vertebrae). These joints commonly develop disease by years of repetitive strain, disc degeneration or minor trauma. This can lead to neck pain. 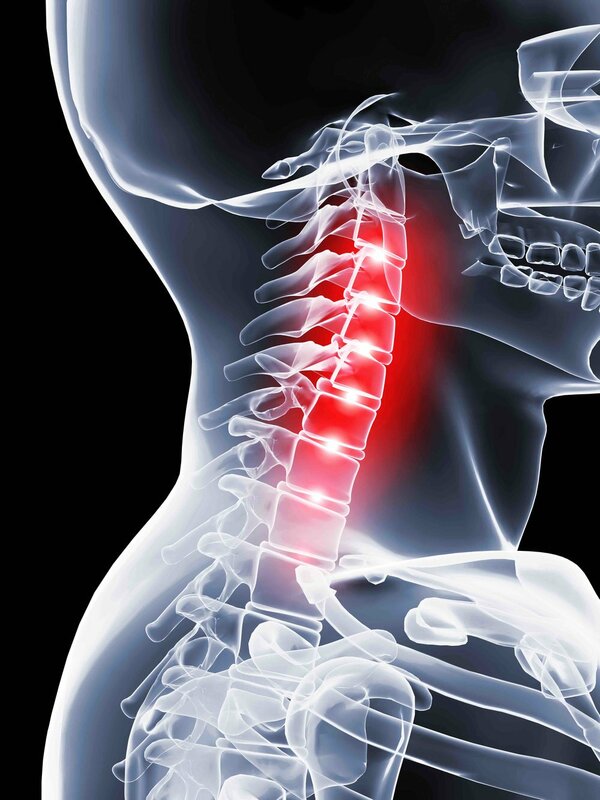 Neck injury caused by whiplash is the most common injury among car occupants after a motor vehicle accident. This can lead to Chronic Whiplash-Associated Disorder.